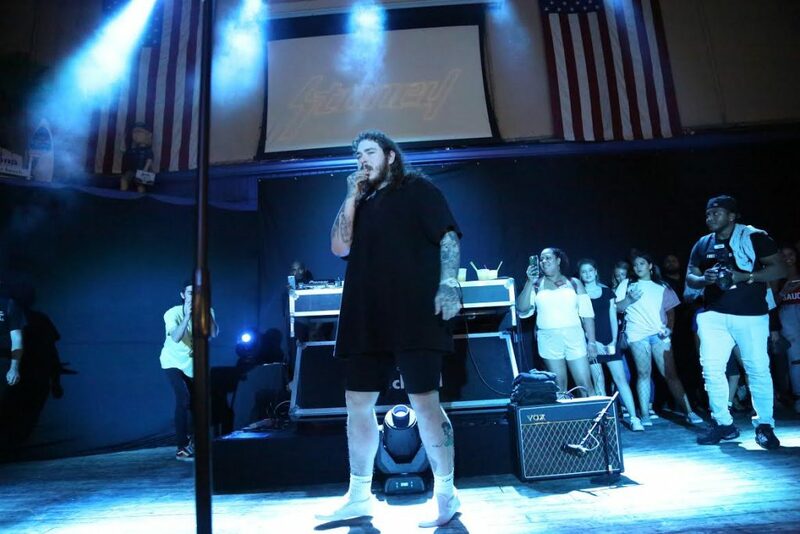 Red and blue lights bathed the stage when Post Malone came out wearing his notoriously causal black tee and shorts with white vans. 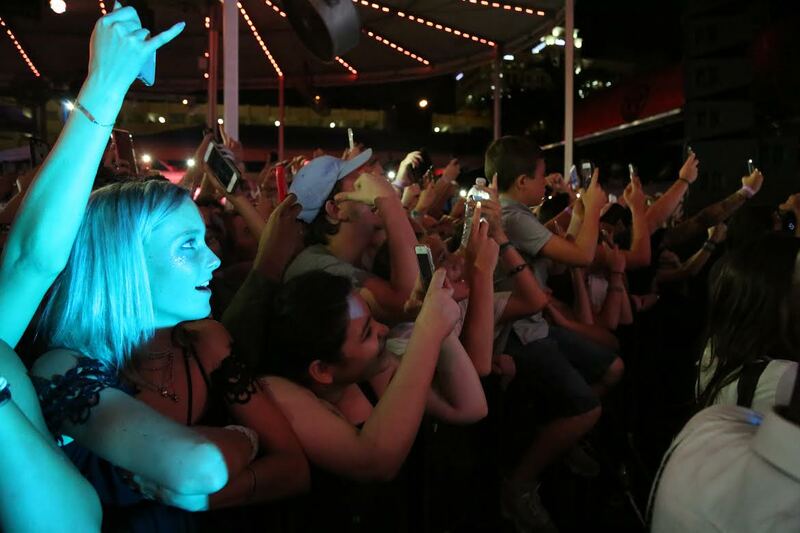 The crowd erupted in cheers when he finally took the stage at 10 p.m., after opening acts from Miami-based rappers, Smokepurpp and Lil Pump, as well as Huntington Beach rapper, Yung Pinch. Malone then paid a special tribute to Petty by sitting on a stool at the front of the stage to perform the Gainesville-born rock star’s famous song, “American Girl,” while playing a red electric guitar. When the upbeat song ended, Malone smashed his red electric guitar to pieces on stage and hands out the neck and body of the guitar to front-row attendees. Fans went crazy for Malone’s antics, jumping up and down in unison during “I Fall Apart” and “Deja Vu,” featuring Justin Bieber. This was Malone’s first solo concert in the area, and fans from all over South Florida drove to see him perform. As a birthday gift, Tristan Palleschi got his sister Lily a meet-and-greet pass to see Post Malone. The two waited over five hours at the venue before they got to see him perform. 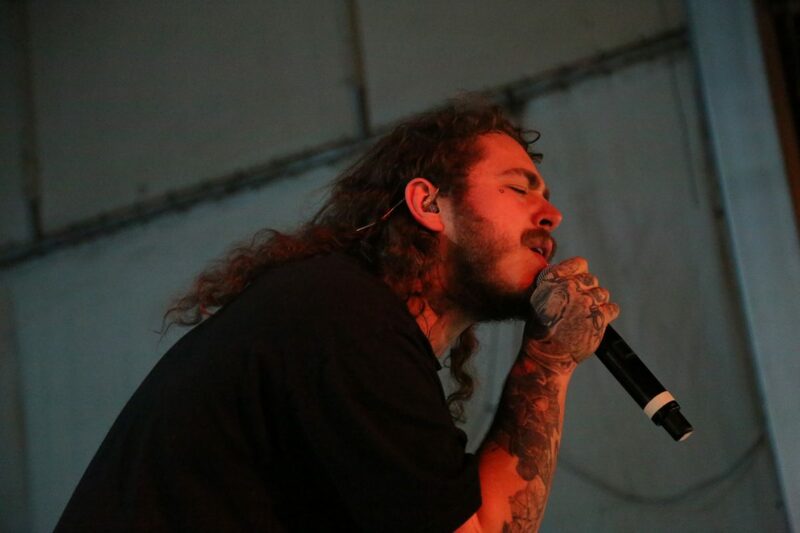 Before his last song, Malone performed the song that catapulted him into the music industry, “White Iverson.” The song has an ethereal and mellow beat, which is unusual in the rap genre. He ended the concert “Congratulations,” the story of his rise to fame against the odds. “This is to anyone that ever tells you you can’t do something,” Malone said.